Well, in this case, apparently not. If we’re going to be beholden to the all-knowing and unquestionable decisions of gamerankings, it’s the fifteenth best game ever. Still, the reasons for critical/player acclaim is the subject for this series. After all, that’s as close to being objective as you can get on the matter. Anywho, we’ve ventured a little further down the list this time, because Resident Evil 4 is a fascinating case. Gamers, as we know, aren’t very responsive to change. Well, ‘responses’ will often vary from rabid, spittle-flying rage, to futile one-man boycotts, to crying to grandma, to… so forth. When a major franchise announces a radical new direction of some sort, the Internet implodes. I still remember the world’s first sighting of The Legend of Zelda: The Wind Waker. The point we’ve hopefully established here is that we don’t like things being screwed with. 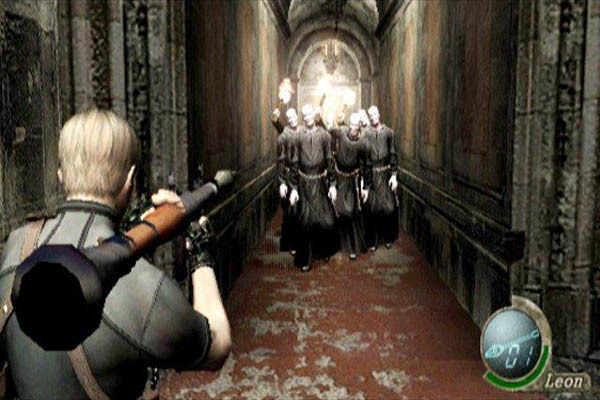 In recent memory, no series has been screwed with quite like Resident Evil was in 2005. Buckle up, ladies and gentlemen. Grab your cans of furious beardy villager repellent, because we’re going in. Leon’s European holiday was quite a departure. Gone were the stalker-ish static camera angles. Gone were those notorious rotate-y controls. In their stead, we had Resident Evil 4. This was a far more dynamic and cinematic adventure, which liberated your movement and aiming into a kind of pseudo TPS. It felt, to me, like a Hollywood parody of the earlier games, right down to the convoluted and bizarre plot (not that that’s anything new for Resident Evil, come to think of it). Revolutionary as it was, the remarkable thing is that the game worked. 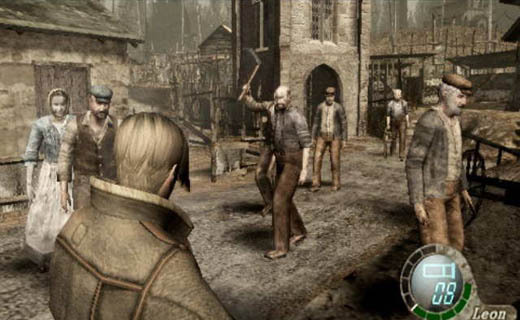 Those earlier scenes in the village showed what survival horror really could be. Desperately barricading yourself in the house as an angry horde climbs through the windows on ladders? While a nutbag with a sack over his head assaults the front door with a chainsaw? It’s immersive, it’s genuinely unnerving and it is pretty well unanimously agreed to be among the best action games of recent years. Sadly, its legacy is the problem. Resident Evils 5 and 6 took the concept much too far. While the fourth achieved –for the most part– that delicate balance of action while retaining the horror, its successors did not. These were more gung-ho, actiontacular, check-out-my-boulder-punching-biceps sorts of games. Nevertheless, you can’t understate what Resident Evil 4 achieved. Yes, there are franchise fans that begrudge the game, and you can’t fault them for doing so. This was, after all, the death of so many classic tropes which made Resident Evil. But were these changes for the better? For so many, that’s a resounding yes. The first try, at any rate. Next articleThe Wolf Among Us: Why Do They Want Crane?